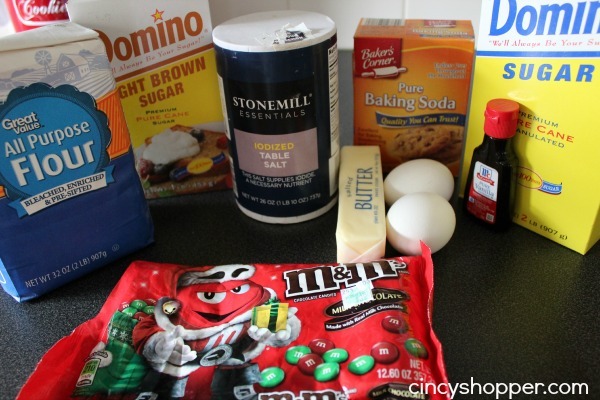 Oh goodness this M&M Cookie Recipe has got to be one of my favorites. I will admit that my husbands ex-wife use to send these yummy candy cookies over for us at the holidays and I became totally addicted. I asked her for the recipe and have made them every year since. I think about 15 years now, ha ha. Having cookies all made up during the holidays is a tradition of ours. I like making a huge variety and having them available to snack on. This recipe is pretty quick and simple but quite tasty. 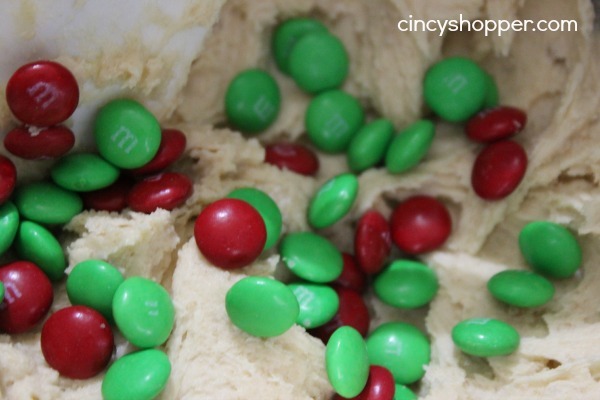 Cookies and M&M’s just go well together and for this M&M Cookie recipe I always use the Christmas Colored M&M’s. I always change out the M&M’s colors for each holiday. A good basic sugary cookie for everyone to enjoy. Everyone likes M&M’s right? I think both kids and adults always enjoy M&M’s. Cream butter, shortening, sugar and brown sugar. Combine dry ingredient mixture into wet ingredient mixture. Place approx tablespoon size drops of mixture onto cookie sheet. Bake about 10 minutes until the edges are lightly browned. 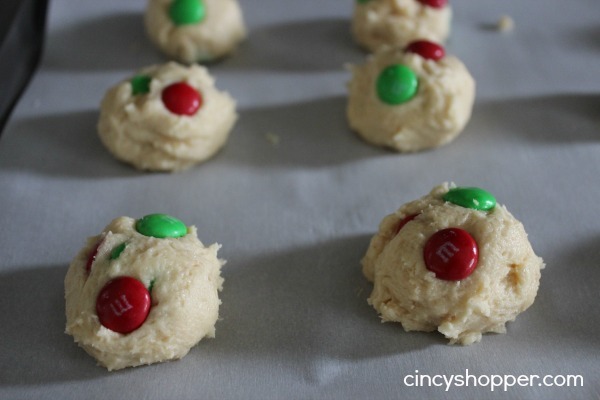 If you are looking to make a great cookie over the holidays that everyone will love, give these ones a try and see if they are a hit in your household. Looking for other holiday cookies and treats? 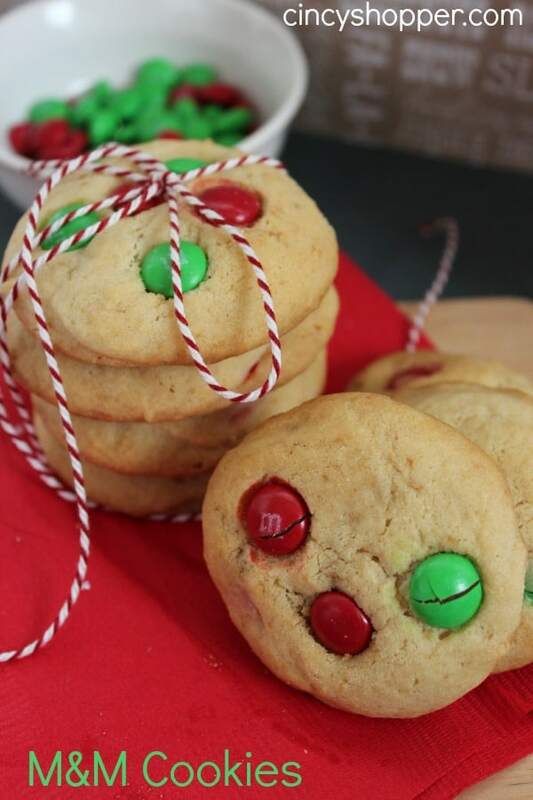 If so be sure to check out some of the other cookies and fun holiday recipes I have been sharing with you and will continue to share throughout the holidays.